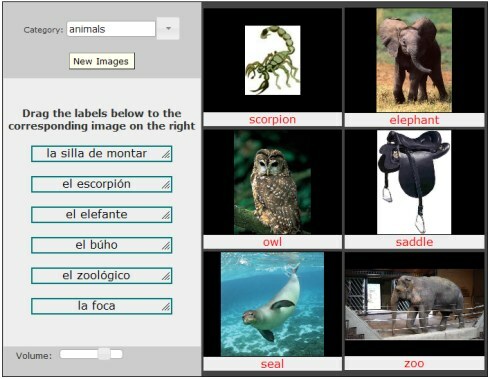 We are happy to announce the release of our upgraded Spanish matching game - Drag-n-Match. This upgrade features audio integration, high quality images, and an intuitive interface. It truly makes learning vocabulary fun -- I can't seem to stop playing! There are many categories to choose from including food, animals, body parts, and more. For the entire list of categories, click here.